This reproduction treenware is made of resin. It is cast from an original antique so it has all of the cracks, holes & marks that the original had. It is then painted and finished to give it a wood look. These beautiful pieces look so authentic, it's hard to tell that they are actually reproductions. This big dipper will be a lovely addition to your displays. It measures approx. 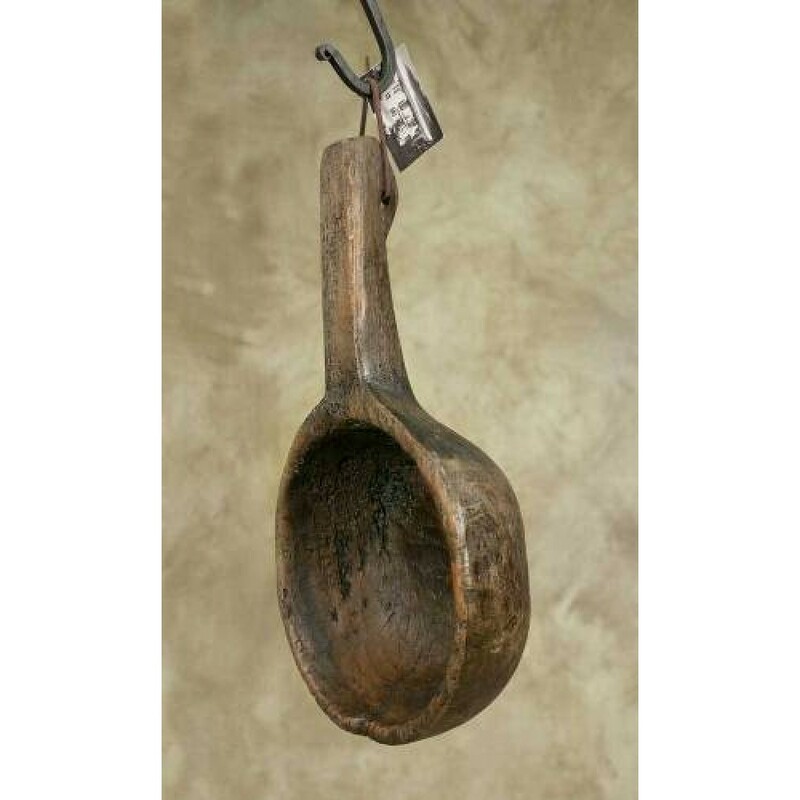 10.5" long, 5.75" in diameter & 2" high, and features a notched handle for hanging. 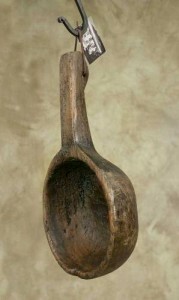 Treenware is not meant for use with food - it is for decorative use only.